Dreams Come True was one of only four Japanese bands to participate in the worldwide Live 8 concert series this past July. 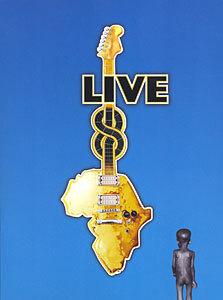 They were also the ONLY Japanese band to make it onto the worldwide release of the Live 8 DVD Box set! Watch them perform the English version of their most popular single, Love Love Love.